In Jonathan Emmett’s clever twist on the “The Frog Prince,” spunky, bespectacled Princess Martha doubts the princely background of a talking frog. While her sisters are convinced that giving him the royal treatment will turn him into Prince Charming (like their story book says), fact-loving Martha knows Prince Ribbit is nothing but a clever, deceptive, and quite ordinary amphibian. 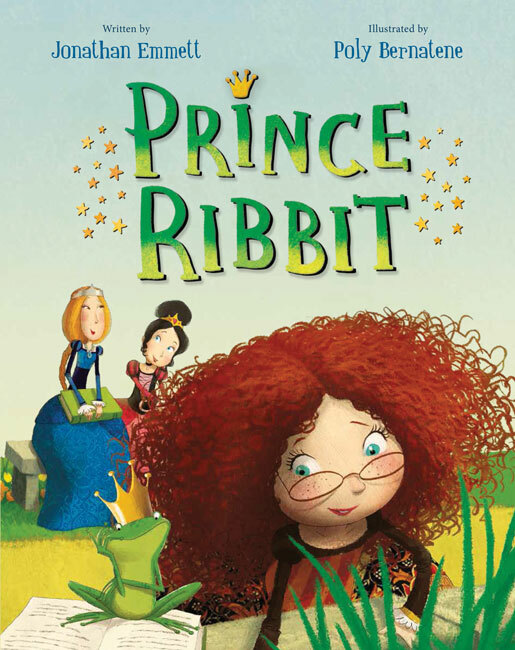 So, armed with the facts from her nonfiction books, she sets out to expose Prince Ribbit and prove to her sisters that “just because it’s in a book doesn’t mean it’s true.” But before “The End,” Princess Martha might just learn that lesson for herself! From Jonathan Emmett and Poly Bernatene, the team that created the wickedly funny tale The Santa Trap, comes Prince Ribbit―a delightfully clever piece of meta-fiction for young readers about the pitfalls of trusting everything you read. In a world where the lines between fact and fiction are often blurred, or ignored entirely, this “fractured fairytale” reminds children to approach every story they read, whether in the library or online, with a healthy amount of skepticism and critical thinking. 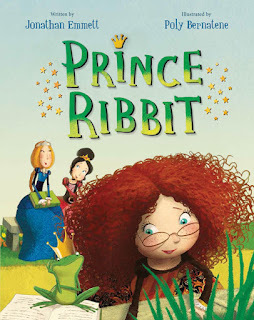 Check out the Prince Ribbit board game and word search on Pinterest! This title hops into stores and libraries on March 1st, so make sure you capture a copy at your local library, indie bookstore, or Barnes & Noble. Let Martha and her amphibian prince help you open the door to a discussion of fact vs. fiction!